Event Description : MUSIC : Guest Gig w/ Dev Bhatia & Munbir Chawla! We're back with one of our favourite and most exciting of all events, Guest Gig at Speaks! Presenting the 11th edition with Dev Bhatia from UnMute and Munbir Chawla from Wild City. We are bringing them together not to spar but to sell maximum possible drinks in the night, and all for a good cause. We've pledged 20% of the profit from the night to Rasoi on Wheels Foundation, an NGO operating out of Gurgaon, that feeds almost 30000 people per month! We will be cheering from the sidelines, as should you! And of course, as always - may the best barkeep win. 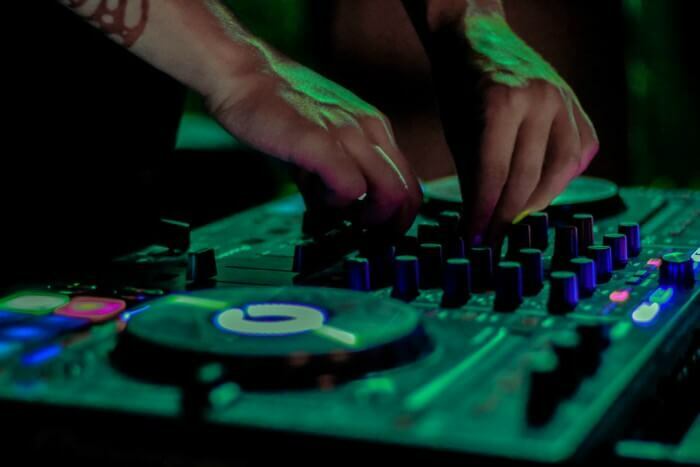 management and booking agency for Electronic dance music in India. brands, music festivals and venues. Its ethos and philosophies though are based on Dev’s groundwork with India’s leading erstwhile electronic live act, Jalebee Cartel. conferences – Dev has broken down many barriers as the Creative Head for a leading national mobile radio product, a backstage asset for music festivals, curator and moderator for panels and workshops at global conferences and workshops (ADE, IMS, TDME + more). Munbir Chawla moved to India in 2011 and is the co-founder and director of ‘Wild City', an online music magazine and events company based in New Delhi. He's also the regional partner of Border Movement, a music magazine and platform for cross-border collaborations and residencies in India, Pakistan, Bangladesh, Sri Lanka and other countries in South Asia. Now going into its 6th year he's also the co-founder of Magnetic Fields Festival, music-specific PR agency; City Press and South Asian booking agency; Vital.